Owning your own handicap van gives you the freedom and independence to be on the go whenever and wherever you choose. Visit our inventory of new and used handicap vans to find one that meets your needs. Not sure what you need? Schedule a test drive or vehicle demonstration today to find out which wheelchair accessible vehicle best fits your needs or visit us at a store near you to take a test drive or to have one of our Mobility Specialists show you a thorough demonstration of your next handicap accessible van. Handicap van modifications fall into two categories: handicap van driver and handicap van passenger. 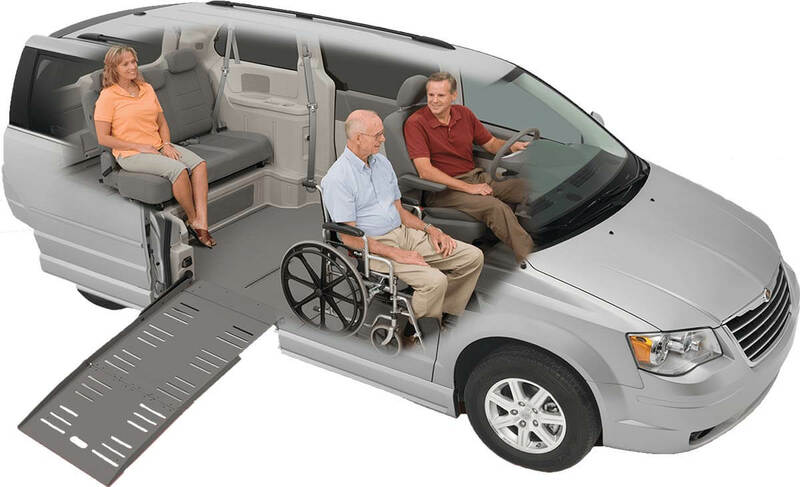 Handicap van conversions generally involve a lot of reconfiguring to accommodate all of the extra weight the converted vehicle will be carrying. When a vehicle is converted for handicap passenger accessibility, these conversions typically involve modifications to the original vehicle design. Some of these modifications can be as minor as adding extra seats, installing wheelchair tie-downs, or installing a ramp or a lift. Other modifications can be as great as reinforcing floors to accommodate the weight of a wheelchair or customizing the vehicle’s interior. When it comes to configurations, there are two entry types: side-entry and rear-entry vehicles. The entry location is important to consider when purchasing your handicap van. You want to consider things like wheelchair seating positions, parking options, other passengers, and storage capacity. When making your decision as to which type of entry is right now you, you should consider the advantages and disadvantage of both. A handicap parking space or extra room for a fully extended ramp is required. Some driveways and parking spaces are not wide enough to accommodate this type of vehicle. Visit our inventory of new and used handicap vans to find one that meets your needs.